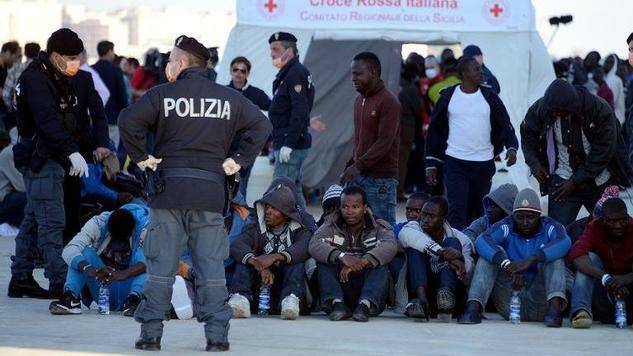 AFRICANGLOBE – Listening to British and other European right-wing politicians, you might think migrants are the plague. Britain’s foreign secretary, Philip Hammond, termed African migrants seeking to enter the country through the French side of the Channel tunnel as “marauding” and posing a threat to the European Union’s very social structure. The anti-immigration rhetoric is shared at the highest levels: His boss, David Cameron, last month talked of a “swarm of people coming across the Mediterranean” into “incredible” Britain while Home Secretary Theresa May claimed migrants are in it only for economic reasons (read, to milk the country’s benefits system). The country’s rather aptly-named immigration minister James Brokenshire threatened to meet with “full force” the “rogue” British employers who give jobs to illegal migrants thereby “denying work to UK citizens and legal migrants and helping drive down wages,” in a statement that skirts uncomfortably close to the “lump of labour fallacy”—the argument that there is only a fixed amount of work in a given economy. And as you would expect, it has been fodder for the country’s conservative-leaning media—The Daily Express, a shrill tabloid known for its sympathies to the far right, and the ever-alarmist Daily Mail— for example have been regularly painting doomsday narratives of a migrant “invasion”. It is undeniably a crisis that could be handled better, and it is a comfort of sorts that this type of rhetoric that dehumanises the tens of thousands in distress seeking refuge from turmoil back home has been called out by the more sober-minded, including the currently leaderless Labour opposition, even though one suspects they also have one eye on the votes. In the midst of all this, there have also been some heartwarming stories, such as the German bus driver who gave a welcome speech to the group of foreign migrants on his bus. Incidentally, Germany processes four times as much asylum requests as the UK and would have more cause to be grumpy. Putting aside the statistically false claims that it is a deluge of arrivals, or that most migrants arriving in Europe are from Africa or are just fleeing poverty, and a host of other myths as brilliantly dismantled in this article, many studies show that migrants are often net fiscal additions to host economies, in addition to directly shoring up their families back home. But such facts sway only a minority of Europeans, those who prefer the much better-sounding and unitary “we are under attack” narrative as a shield from economic stasis in the world’s wealthiest continent are more. There are those who would argue that rich nations have tended to shoot down the attempts by developing nations to be self-sufficient and reduce conflict back home, including by shielding their mutinationals that pay little to no tax, repatriating nearly all their profits. But perhaps the real threat to the continent’s future prospects could come from much closer home? Recently released data (pdf) from the UN’s Department of Economic and Social Affairs shows that Europe’s current population of 738 million people will this century contract sharply. In just 15 years, Europeans will number 734 million, a fall of half a percentage point. In 2050, their population will drop a further 3.6% to 707 million, and come 2100 there would be only 646 million people, or 12% less Europeans than there are now. Put another way, Europe currently has some 104 million more people than Latin America and the Caribbean, in 2050 it will have 77 million people less. A lot of this is because fertility in European countries has for years been below the level required for full replacement of the population in the long run. Currently, a European woman can expect to have 1.6 children on average; to fully replace the population she would need to have 2.1 children. The projected increase by 2050 to 1.8 children per woman will just not be enough to counter the diminution of Europe’s population. Now, all this is not news to Europe’s low fertility countries, but two things are. The high-income countries in Europe, North America and Oceania have since the end of World War II been net receivers of migrants. In these countries, births are expected to exceed deaths by 20 million by 2050. But in the same period, the net gain in migrants would be 91 million, accounting for nearly all (82%) of the population growth in high-income countries. Secondly, Europe’s population is ageing, and fast. Nearly a quarter (24%, which is double the global average) of the continent’s citizens are aged 60 and over, more than any other region. European life expectancy is currently at 77 years, by 2100 it could be 87. A measure called the Potential Support Ratio (PSR) and which counts the number of workers per retiree in countries, shows the effect of this trend. As would be expected, because of its young population structure where 60% are aged 24 years and below, Africa has the highest PSR of 12.9 people aged between 20-64 for every citizen aged 65 and over. Europe in contrast has a ratio of 4 or less, and by 2050, half of its countries will dip under two. Japan’s ageing population is well documented—it has a PSR of 2.1, the lowest in the world. With an ageing population comes fiscal pressure, including on the social indicators of health and old-age support systems, and subsequently political pressure. It would thus be in Europe’s interest to tap the growing migrant population for more economic growth and to forestall the impending fall out. In other words, the continent’s scare-mongering right-leaning politicians are yet to really feel the heat. Migrants can be positive forces for both economic and social development, including in labour markets and in speeding up the diffusion of new ideas and technologies, according to the UN. Europe just has to make integration work. That is where the real savings are. Put bluntly, Europe can only survive as a continent of immigrants from the developing world.